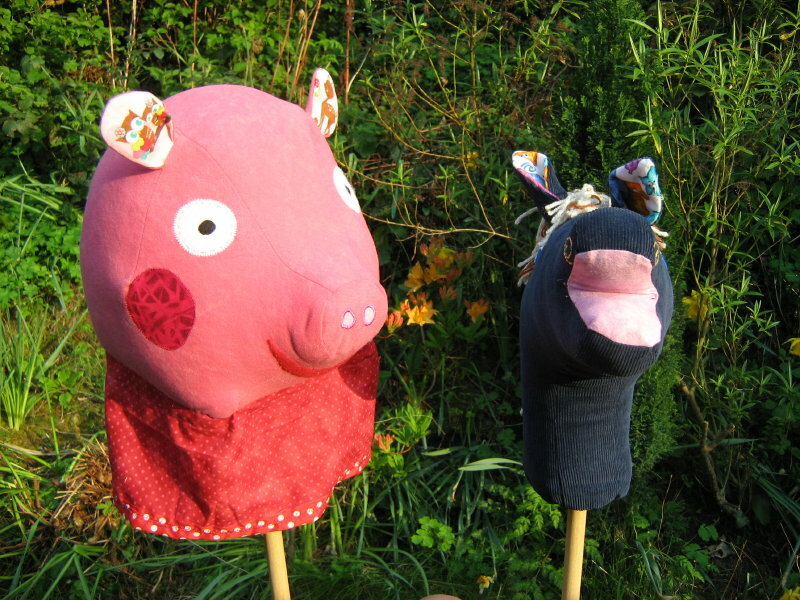 Well I have been busy – here are the two polled animals that I made for my dear grandchildren – I had decided to make a hobby horse for each of the twins – but then found out that my grand-daughter really wanted a Peppa Pig. Well what was I to do? So made one of each – thank you madmin.com for the horse pattern _ I couldn’t have made it without it. The Pig was a different problem – Peppa pig is 2-dimensional – and I needed her to be 3 dimensional. 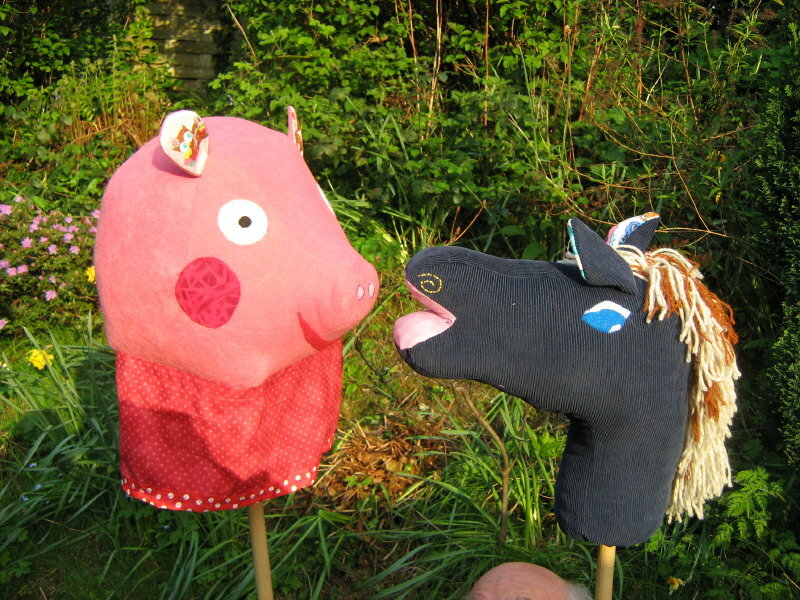 She is not that far away from being similar to the horse pattern but I took a colouring book Peppa pig picture and blew it up to A3 – and then tried to make her from that – adding a strip from the snout to the top of the head and then across down the back. It looked like a rhino rather than a pig so then went on line to find a pattern and ended up one from China for a small pig which had no resemblance to Peppa Pig but on, which by blowing up, I could make!! She is much too big and her head is at least half again what my grand-daughter’s head is. Still – both are a tremendous success. The family is coming down for the weekend from Market Harborough so I will be able to put the pig’s head back on as it has fallen off in the meantime.